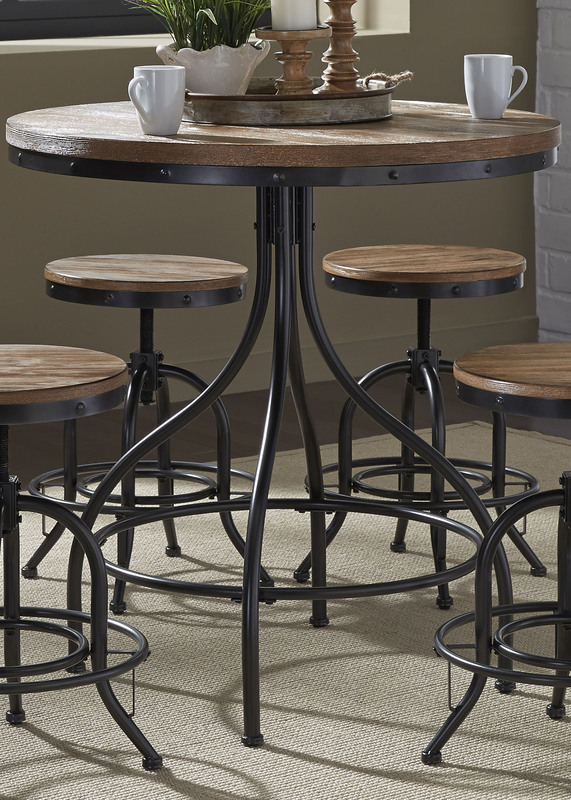 Gather around this charming vintage styled circular pub table. This table features a distressed pine veneered top and a black finished leg base. Pair with the complementary chairs available in three different styles and five different finishes.